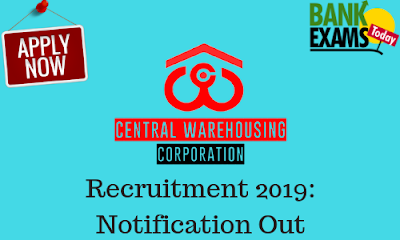 Central Warehousing Corporation invites On-line Applications for various posts. Management Trainee (General):- 30 posts. Management Trainee (Technical):- 1 post. Junior Technical Assistant:- 238 posts. Marketing Management or Supply Chain Management from recognised University. Zoology with Entomology from recognized University/ Institution. Thanks for the useful information and updates regularly.